A clean and hygienic environment is what everyone wants for their family. 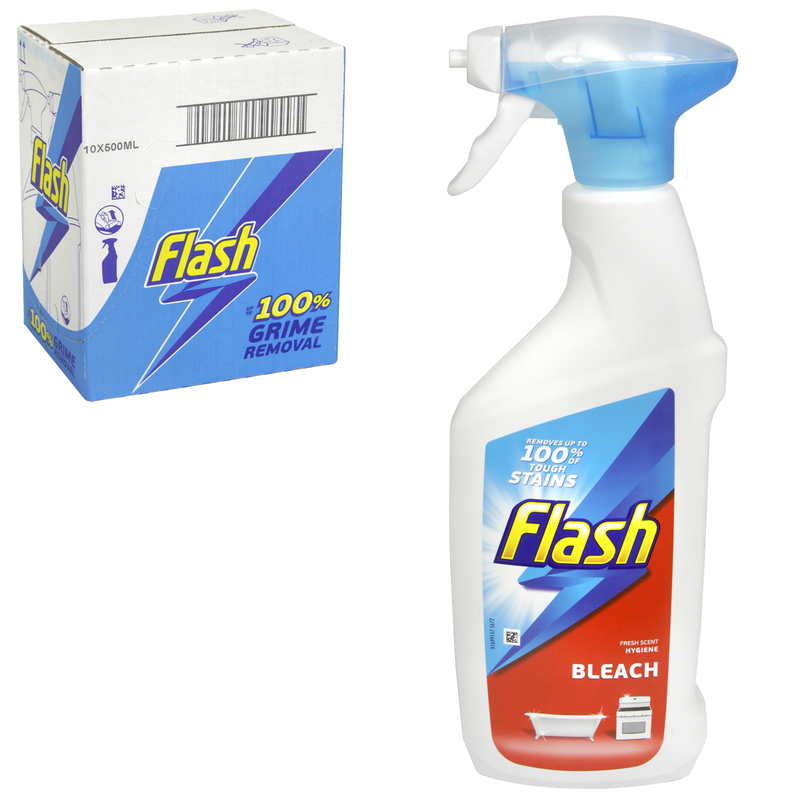 This Flash surface spray cleaner with bleach dissolves grease & dirt, so you can remove tough soil, grease stains, burnt on food, dirt and soap scum, in the kitchen and the bathroom. It’ll give you fantastic cleaning on surfaces like cooker tops, sinks, work surfaces, ceramic tiles, and surfaces made of porcelain enamel.